I have already began this worklog on another forum and would like to share it here too. So the easiest way for me to do that is to copy my post and post them here. I look forward to your comments. This will be my first real themed mod and I am basing it around Call of Duty Modern Warfare 2. 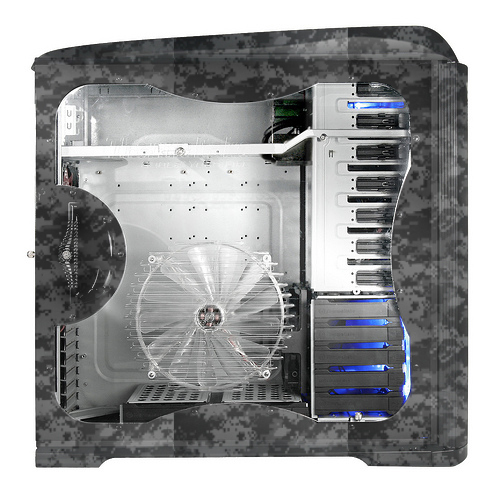 The case that will be modded is the Thermaltake Armor+ and will get a custom airbrushed digital camo paint job. I have several companies sponsoring this build which are listed below. This mod would not be possible with out their support. Things the case will have. 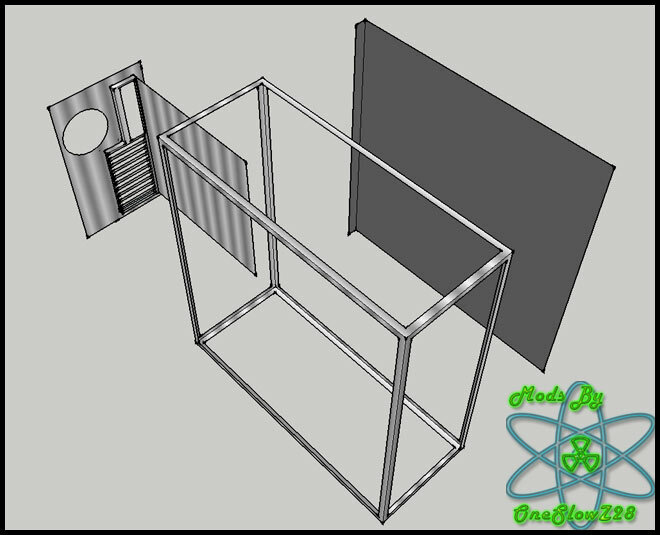 Things I am working on incorporating in the build. I would like to take a moment and list the items provided by my sponsors. Thermaltake has sponsored me with a full compliment of water cooling parts from their Watercooling upgrade line. 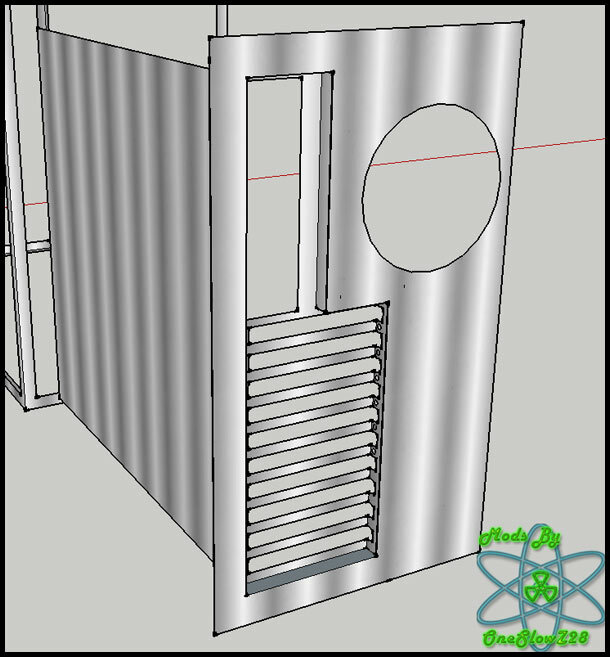 This will include 2 reservoirs, a pump, CPU water block, Chipset waterblock, 2 HDD waterblocks, 3/8 tubing with quick connects, 1000ml of green UV reactive coolant, a flow meter with digital temperature screen, a dual 120mm radiator, 2 120mm silent fans, 3 120mm Green LED fans, cable sleeving kit, Armor+ case and a few more goodies. NZXT has sponsored me with an Avatar Gaming mouse and a Sentry 2 touch screen fan controller. Plextor has sponsored me with a PX-b320sa Blu-ray super multi writer and a PX880SA DVD combo drive. 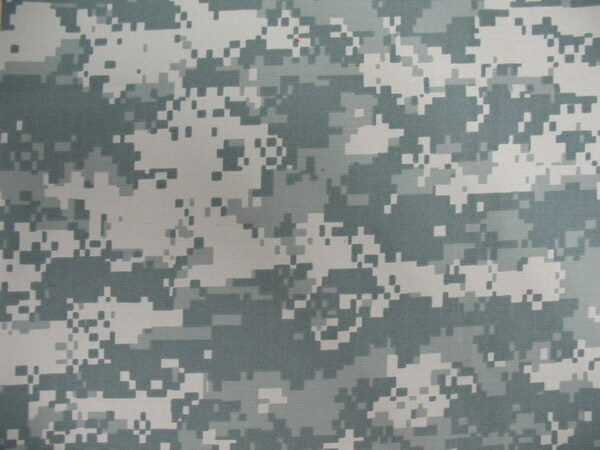 I took a little time in photoshop tonight to see what the digital camo paint job may look like on the Armor+. What do you think? The actual paint job will be brighter and more defined but you get the idea. Very awesome! How are you going to to the paint? 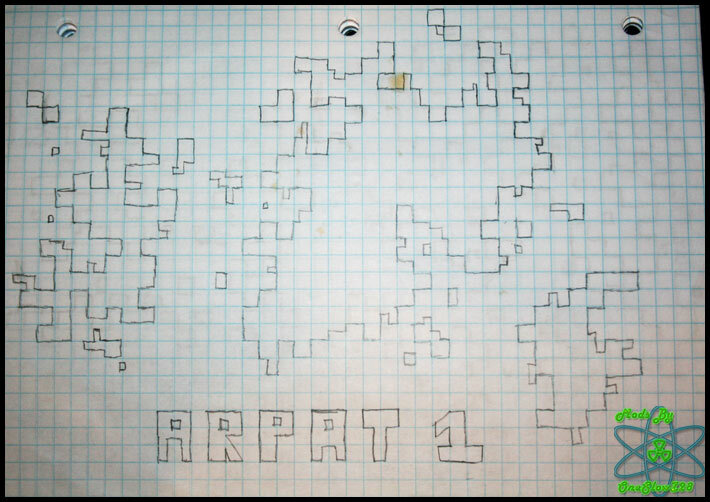 I have been working on cutting out some ARPAT Digital Camo stencils from overhead projector transparencies. I will use them to lay down a 4 layer airbrush job that will closely mimic the ARPAT digita camo pattern. I am still waiting on the gear from thermaltake to arrive and for my paint to get here. I made a banner for the worklog a few min ago. Welcome to the site and a nice idea! Keep it going as it should be a nice mod to watch. Thanks and you can bet I will keep it going. Just a small update tonight. I have been weighing my options on how I can airbrush this paint job for a few weeks now. I could do like this guy did or I can use stencils. I finally decided on the latter about a week ago. 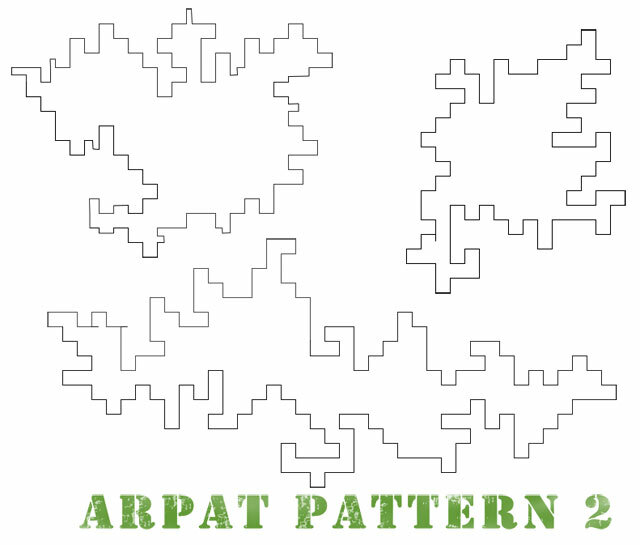 So I sat down and took a good long look at the ARPAT pattern. It seems to be 3 layers with the lightest on the bottom and the darkest on top. 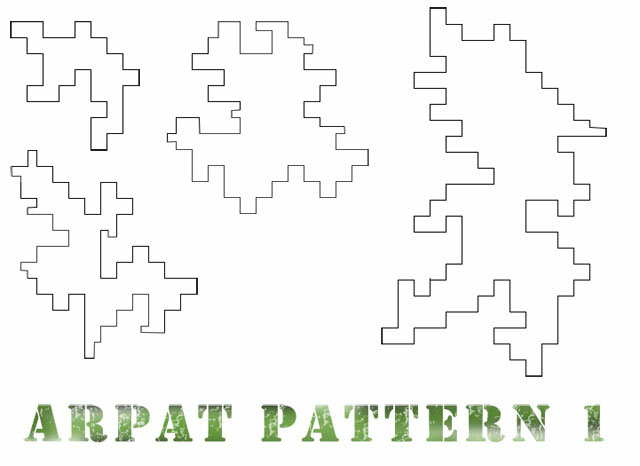 The pattern itself is just blobs with pixilated edges. The edges seem to be what I will call full pixels and half pixels. 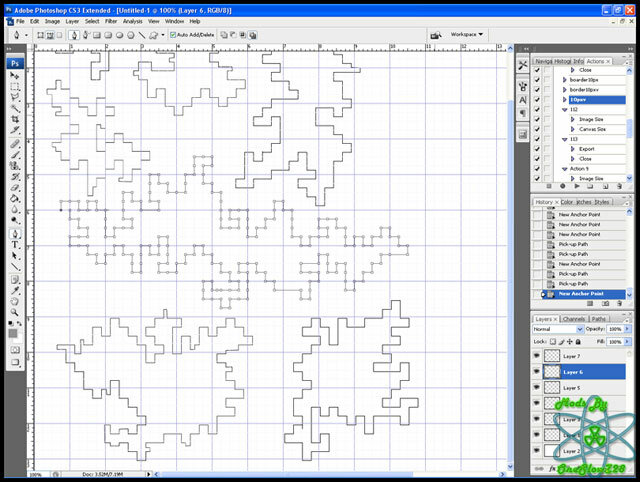 I sat down and did a few sketches on graphing paper to get a feel for creating the designs and then took it to photoshop and using my wacom tablet and a Ã‚Â¼Ã¢â‚¬Â� grid in photoshop I drew some patterns. What I plan to do is to trace these onto clear acetate overhead projector sheets and then cut them out using an Exato knife. Then I will paint the whole case a light gray followed by a lighter gray spraying from the patterns, then I will spray a second layer of darker patterns followed by a third layer of even darker patterns. Then I will coat the whole thing in a few layers of mat finish clearcoat. Ok letÃ¢â‚¬â„¢s move on to the pics. The first sketch I did. Notice the coffee stain. The second sketch I did. The graphing grid is Ã‚Â¼Ã¢â‚¬Â�. This is the first digital sketch I did. Each pixel is 1/4&#34;. 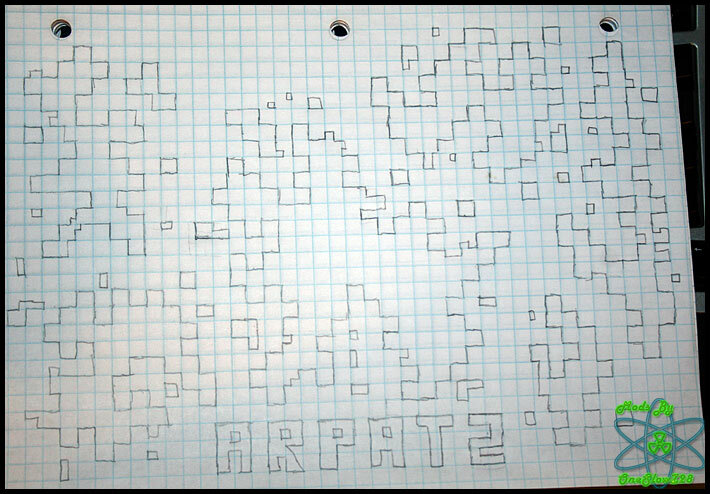 For the first half I used a 1/4&#34; grid created from guides. For the second half I used the normal photoshop grid set to 1&#34;. 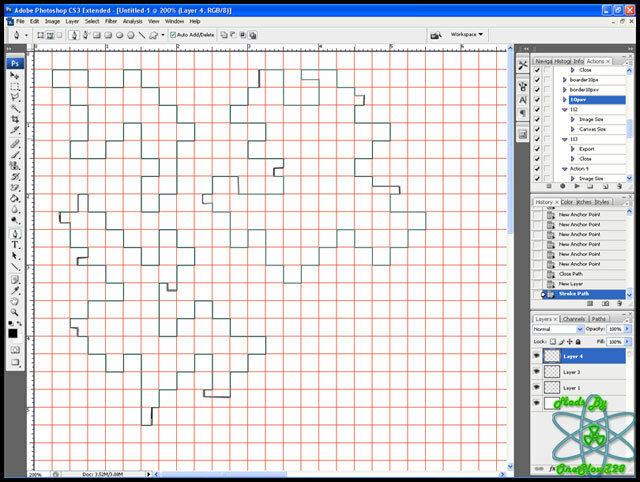 To draw the lines I used the pen tool to mark my pattern then right clicked and clicked &#34;stroke pattern. I had the brush set to 1px with 100% hardness. I will make the pattern files available in a 2 printable tiff files. They are sized to 8.5Ã¢â‚¬Â�x11Ã¢â‚¬Â� @300dpi. I talked to TT today and they will be shipping the case and the rest of the gear this week. So I expect to start sometime next week. There was also a mixup with my gear from NZXT and it was sent to the wrong address. Replacement gear will be set out tomorrow or the next day. I hope to make it to an Army/Navy surplus store one day this week and pick up a few things for some top secret mods to the case. Luke knows what these mods are so I am sure he will vouch for me when I say its going to be freaking awesome. I ordered my paint yesterday and it should arrive by Friday. I still need to pick up a self healing cutting mat and blue painters tape. I also need to go out to my shop at my grandmothers and nab the water filter off of the air compressor there. 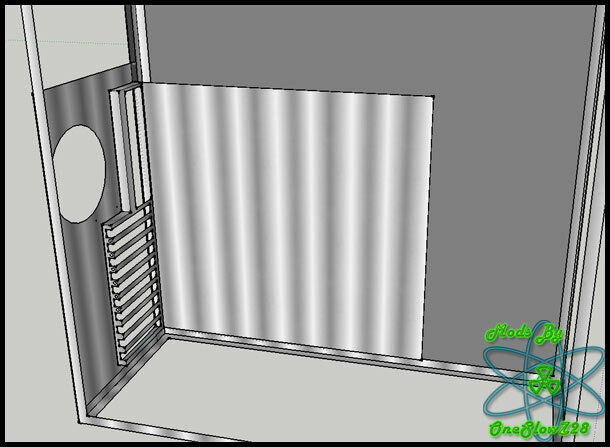 I spent some time in sketchup tonight modeling the Armor+ from scratch. I am no where near finished but it is to scale and will provide me a virtual place to test out ideas before I commit to them. So here is what I got finished tonight. This is the first batch of sponsored gear. The NZXT and Thermaltake gear came in last week. 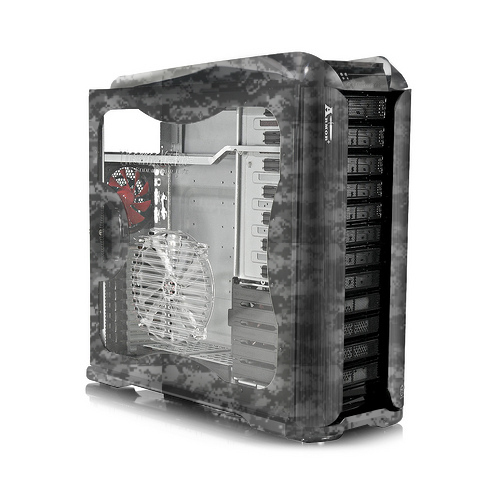 This is the damage done to the Thermaltake Armor+ box. You can see a crease running lengthwise near the top. This tells me that something heavy was set on top of it or it was dropped at some point. Incidentally the corner with the most damage is also the side that the broken door mount is on. UPS really dropped the ball this time. A big thanks to my sponsors Thermaltake, NZXT, and Plextor!!!! I spent some time last night tearing down the LCD screen I will be using on the front of the case. I would like to thank Drum Thumper from TBCS for providing me with this screen via the TBCS TGIMBOEJ. 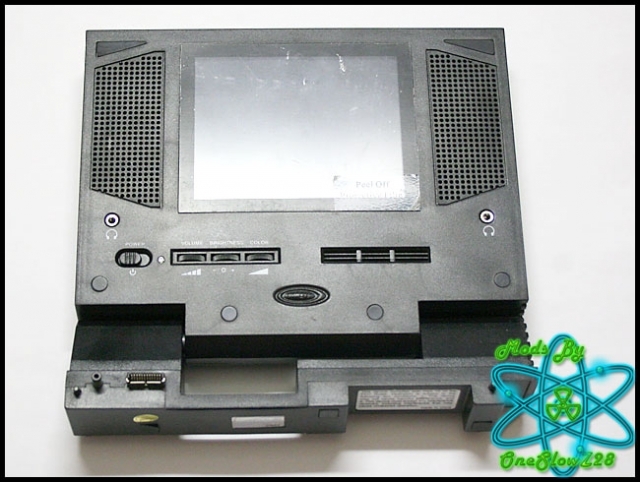 The screen was intended to be attached to a PS2 making the gaming console portable. I apologize for the fuzzy pics. The module I use to handle images on my website is resizing my photos and the end result is a little fuzzy. I am working on fixing this problem. Tearing down the screen was quite simple. There were 6 screws I had to remove and then the back cover lifted off reveling the guts. 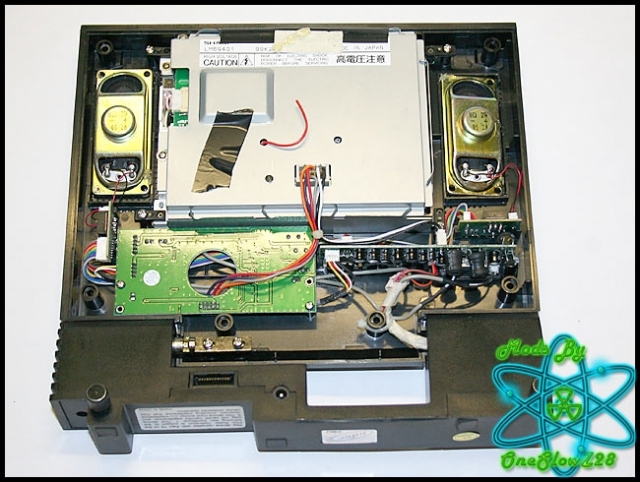 Seen in this photo is the actual LCD module, sound controller board, two speakers, and another controller board that I am assuming was used to further process the sound output from the PSU. Everything removed. 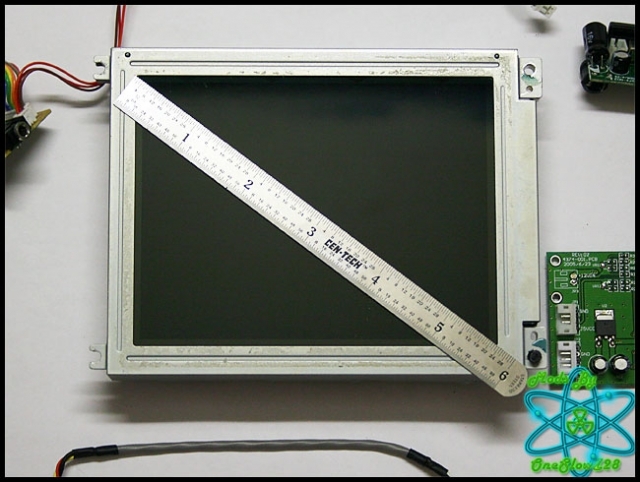 I will only be using the LCD module. The rest will go in my electronics junk box for future hacking. 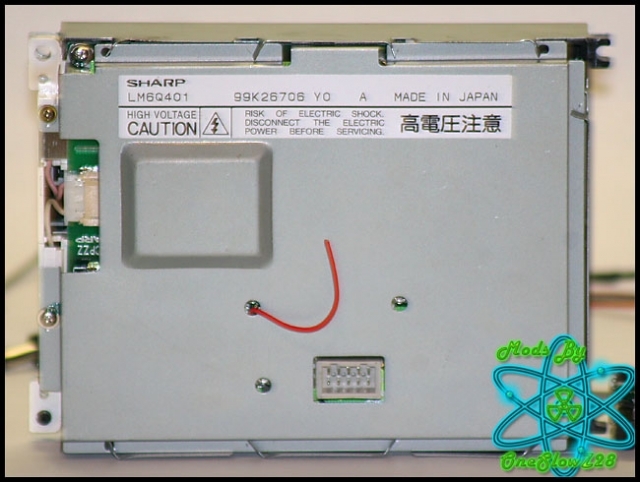 The back of the LCD screen module is where the connector is located. Drum Thumper provided me with the pin out schematic and I spent the night confirming that it works. It is easily interfaced with a D-Sub connection and a 12v supply from a 4pin molex. 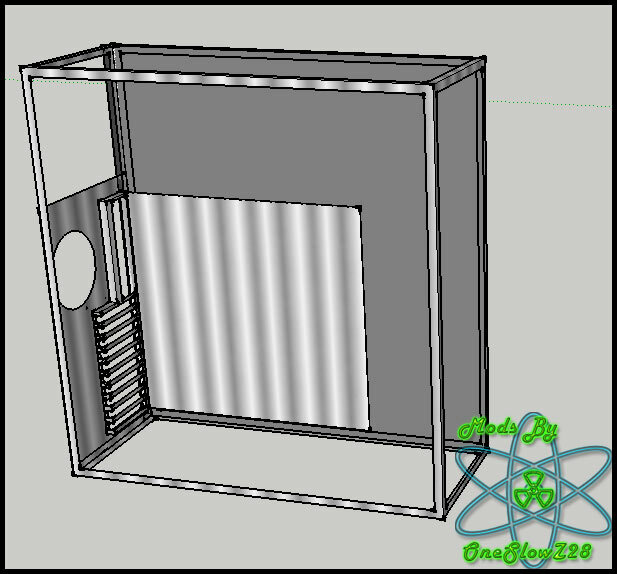 More on this later and I will post a schematic for all to see and reference. 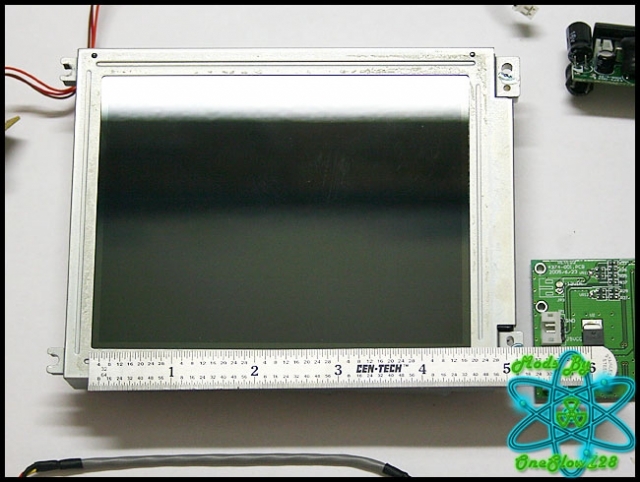 The screen is a Sharp LM6Q401 and the dimensions on it can be found here. 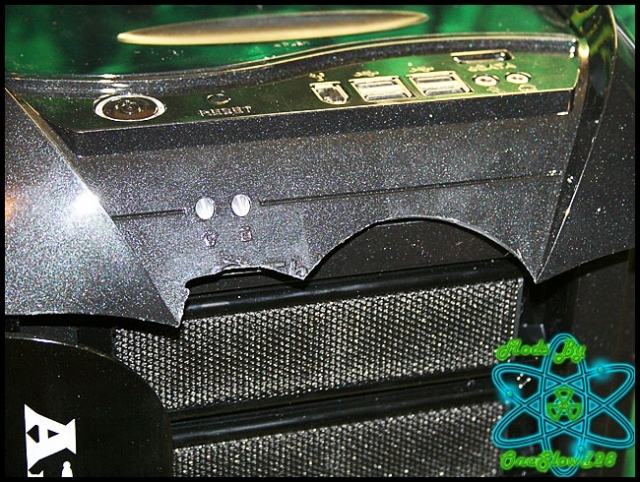 Finally I would like to show you some of the damage done to the Thermaltake Armor+ case during shipping. Thermaltake is sending me a replacement plastic piece. That's all for today. I hope to have another update this weekend. Tomorrow is my 26th birthday and I plan to have several adult beverages, so no power tool usage for me.